This is the debut album from the highly praised Londoners and includes their singles to date – Namely XFM favourite ‘Machine Code’ as well as ‘How Does It Feel’ which was single of the week from BBC 6Music and The Independent on it’s release and finally ‘Still Strung Out’ which has Steve Lamacq and XFM amongst it’s fans. 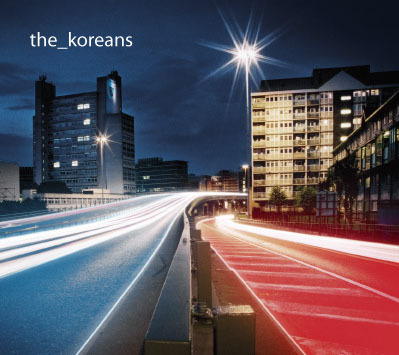 The Koreans sound blends a simple electro-pop with classic guitar rock around the voice of Oliver Hicks. Electronically they are devotees of the glitchy school but not to the extent that it distracts from the tune. The rest is rock through and through; the guitars and drums creating a power behind the vocals that works very effectively. Oliver’s vocals are just right. He is a model of a frail soul exposed for the intimate numbers (‘Slow Motion’ and ‘Drawn Away’) and a wry, knowing lead for the upbeat floor fillers (‘Keep Me In Your Mind’). The Koreans are Oliver Hicks, Brent Newman, Chris Hill and Rob Harwood. Isobel Campbell & Mark Lanegan upgraded London gig plus more for January!